It seems like everyone wants some sort of outdoor wireless network these days. ● Schools want full campus Wi-Fi so students can do homework while sitting in a courtyard. ● Municipalities want to provide city wide wireless access for public Wi-Fi access and to provide services like wireless meter reading for service providers. ● Public safety agencies such as police departments need mesh wireless to provide data backhaul for video surveillance. They are even connecting police cruisers to upload video captured in the units. ● Transportation agencies, industrial complexes, and more all are looking at deploying wireless. We’ve even gotten requests from golf communities who want to provide wireless networking as an amenity to its members. But what is the major issue that will cause problems with these networks? 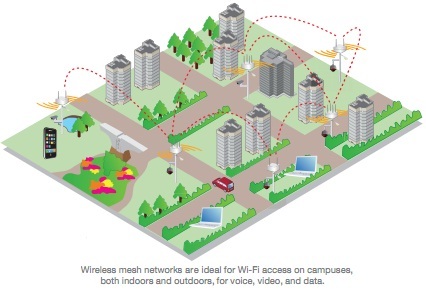 And what should organizations looking to deploy outdoor wireless be aware of? The single biggest problem that outdoor systems have is that they were designed with too many mesh “Hops” before connecting to the wired world. Most (not all) mesh systems will lose 50% of their throughput for each hop. So when deploying over a large area, if the system is not designed properly the applications like Video Surveillance, Communication Systems, and Public Wi-Fi access won’t have the bandwidth needed for optimal performance. The only real way to avoid spending hundreds of thousands of dollars on a city wide wireless network that doesn’t work is to make sure that it is designed properly from the beginning. 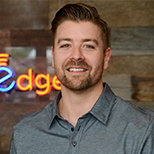 SecurEdge designs and installs outdoor wireless mesh networks that provide flexible wireless infrastructure to support multiple user groups and multiple applications. Most of our systems are designed to support large-scale outdoor Wi-Fi access and mobility; high-speed connectivity for video surveillance cameras, monitoring systems, automatic meter reading, and the list of grows every day. If you’re thinking about this type of system for outdoor wireless networking, we’d like to be a resource for you. Feel free to request a discussion with one of our engineers at no charge.